Modeling Paste is useful for building up surfaces. It has a very high viscosity, which is good for achieving stiff peaks and crisp, rigid texture. 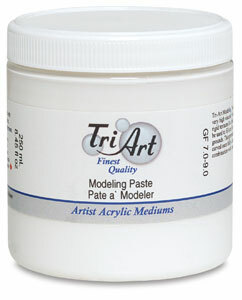 Tri-Art Modeling Paste dries to a matte, opaque white finish. It can also be used to fill cracks and create textured surfaces on a number of grounds. This premium quality product can be sanded and lightly carved once fully cured. 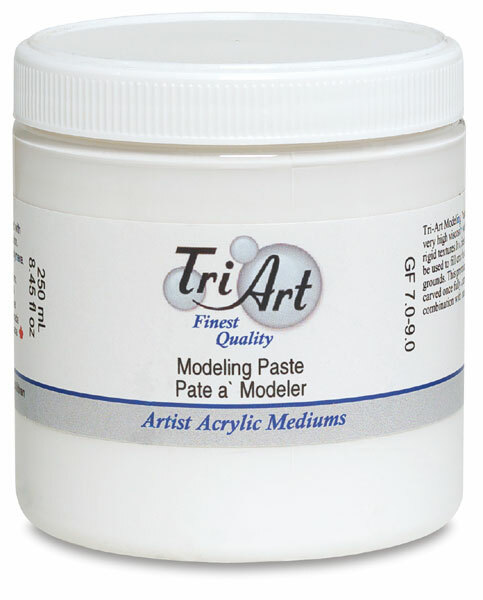 Use it alone, or in combination with Tri-Art Gesso, to create textured grounds.